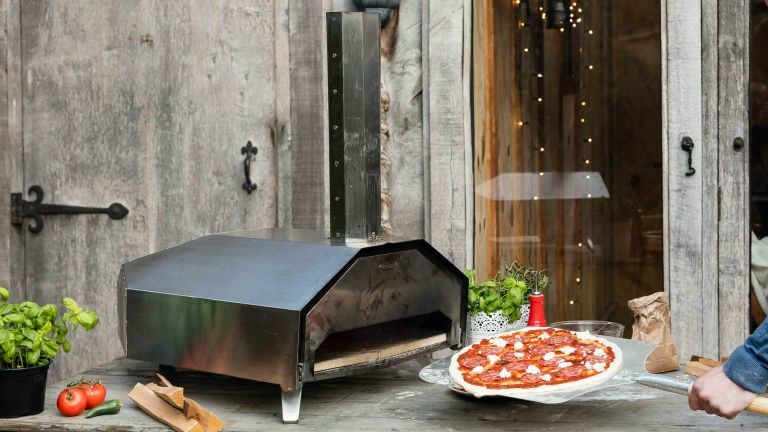 We've covered Uuni on T3 before, its a British brand that created the world's first portable wood-fired oven. Now it has kicked things up a notch - meet the Uuni Pro. The Pro is the first outdoor oven to include a quad-fuel function, capable of running on wood, charcoal, wood pellets or gas. The portable oven can reach temperatures of 500˚C in just 20 minutes, and it takes just 60 seconds to cook an authentic pizza (up to 16-inches in size). Of course, the Uuni Pro is capable of cooking more than just pizzas, you'll also be able to bake bread, roast large cuts of meat, as well as other dishes that you can do on a barbecue. The cooking surface on it is double that of the previous models, so you can cook double the amount of food. Each Pro comes with charcoal and kindling burner, Uuni gloves, a large pizza peel, a regular handled door and an innovative pizza door as standard. Following a successful Indiegogo crowdfunding campaign, where over £500,000 was raised in just five weeks Uuni Pro is now available online, it's priced at £499.